to the spirit of the game. Golf is unlike other sports is that each player must act as a personal referee. In addition a player is duty bound to act in a manner that does not adversely affect the play of others. It is important in the game of golf as the sport relies on the integrity of the individual to show consideration for other players and to abide by the Rules. 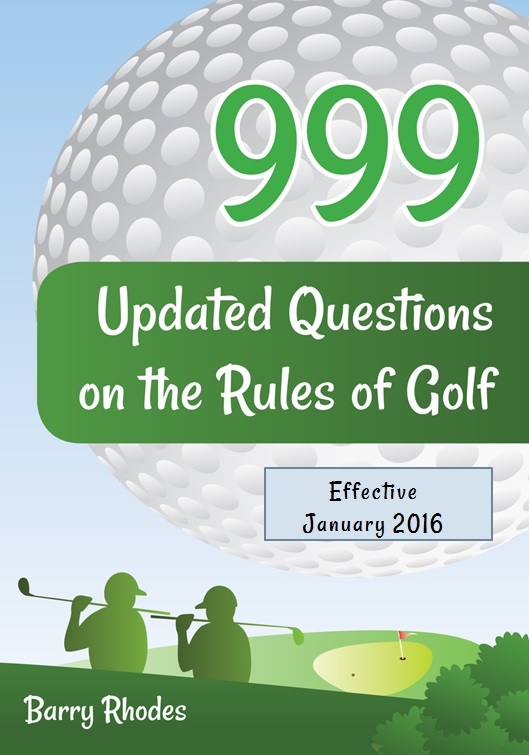 Broadly defined as a code of behaviour accepted as correct or polite, it serves as the Introduction to the Rules of Golf. Professional golfers are more aware of etiquette than their amateur counterparts. Players in social and club golf are either ignorant of what is required of them - or they just don't care. It is on the green that you can observe the most frequent code violations and annoying habits. Stepping on another player's line (or through-line). The line of putt is the line the player wishes their ball to take after a stroke. Professional players and their caddies are even careful not to tread on a competitor's through-line even though the line of putt does not extend beyond the hole under the Definitions in the Rules of Golf. 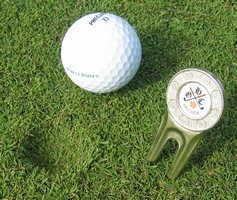 Part of the problem is that it is not always easy to see the other player's ball marker, especially if it is small and of a dark colour. In an attempt to prevent someone stepping on my line I use a conspicuous ball marker. The only advice is to be aware and tread carefully. Standing close to or directly behind the ball or hole. When you are over a putt, any movement in your peripheral vision will distract you. Therefore it is a common coutesy to stand still and well to the side when others putt so you won't catch their eye. It goes without saying that you should also be quiet. Failure to repair pitch marks with due care. 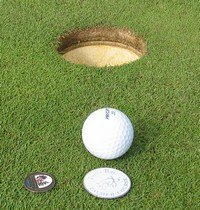 Golfers should fix their pitch marks, and look for others to repair, as part of a combined effort with the greenkeeping staff to maintain the putting greens in good order. A properly repaired pitch mark takes only two to four days to heal. An unrepaired or improperly repaired mark can take weeks. The technique is to push the grass inwards on all sides of the pitch mark to cover the damaged area. The wrong way is to lift the grass upwards bringing the soil to the surface. Many of the Old World courtesies in general society have sadly been lost. However, in golf they are still important and should be preserved. This means not only playing by the Rules, but also observing the Spirit of the Game - to do always what is fair.